The EVGA GeForce GTX 1080 Ti uses NVIDIA's new flagship gaming GPU, based on the NVIDIA Pascal architecture. The latest addition to the ultimate gaming platform, this card is packed with extreme gaming horsepower, next-gen 11 Gbps GDDR5X memory, and a massive 11 GB frame buffer. 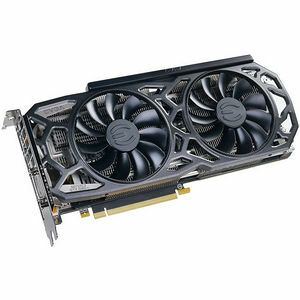 This card also features EVGA iCX Cooling which brings improved cooling efficiency with a new diecast form fitted baseplate/backplate, an interlaced pin fin design that improves cooling efficiency, and new fin technology that provided improved airflow for a cooler running card.